Sweet potatoes are enjoying a surge of popularity, and why not? When compared with regular potatoes, sweet potatoes are higher in fiber, lower in calories and considerably higher in vitamins A and C. And if you've ever had sweet potato fries you know that they are a whole lot tastier, too. Best of all, they are a fun and easy crop to grow, even in a container garden. Here's how to do it. Start your sweet potato slips by selecting a few tubers from your local grocery store. Partially submerge them in damp sand or soil (or plain water) inside a bucket, tray or jar. With plenty of sunshine and water, you should have leafy green slips within a week or two. Note that some grocery store produce is treated with chemicals that prevent sprouting, so choose organically grown vegetables for the best slips. 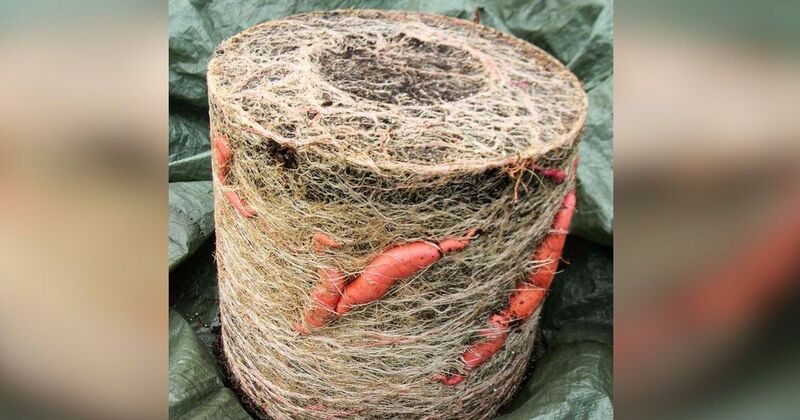 When the slips are 14-15 inches long (35-38 centimeters), snip them off of the tuber, leaving a little of the root growth. Then snip off most of the leaves, leaving only a few at the very top. The more "nodules" on the stem, the better, advises Rob from Rob Bob's Backyard Farming and Aquaponics. It is from the nodules that the plant will send down roots that eventually become new potatoes. Don't throw the leaves away; use them in your salad tonight! According to Prevention, they are seriously packed with nutrients -- nutritionally similar to spinach, but with less of the acid that gives spinach its "sharper" taste. Fill a 25-gallon (95-liter) bag or 20-gallon (75-liter) bucket with loamy or even slightly sandy soil that drains well. Bonnie Plants notes that sweet potatoes are considered a "poor soil" crop, producing well even in slightly acidic soil, so there's no need to stress about getting the soil mix exactly right: half compost, half potting soil and some sand will do fine. Plant 3-6 slips about two inches (five centimeters) into the soil, with the top leaves sticking out. Sweet potatoes are picky about temperature -- as a tropical plant, they like it warm. You never want the soil to drop below 50 degrees Fahrenheit (10 degrees Celsius), advises 5 Gallon Ideas. 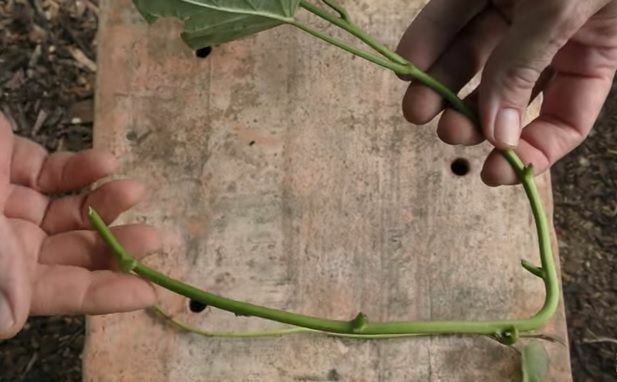 Keeping the soil warm and moist will produce a crop that will be ready to harvest right about the time the vine begins to change color, about four months after planting. Freshly harvested sweet potatoes are not yet sweet; they need 10-14 days to "cure." Place unwashed potatoes in a warm, humid location where the temperature will stay around 80-90 degrees Fahrenheit (27-32 degrees Celsius). After curing, the potatoes are ready to offer you their sweet goodness. Store them 6-12 months in a cool, dry location that won't get below 50 degrees Fahrenheit (10 degrees Celsius). 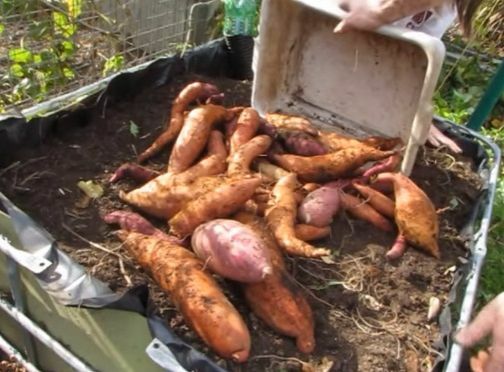 Yield will vary of course, but Five Gallon Ideas produced about 25 pounds (11 kilograms) of sweet potatoes from their 20-gallon (75-liter) bucket; Rob's harvest from a 25-pound (95-liter) bag of soil was 33 pounds (15 kilograms)! 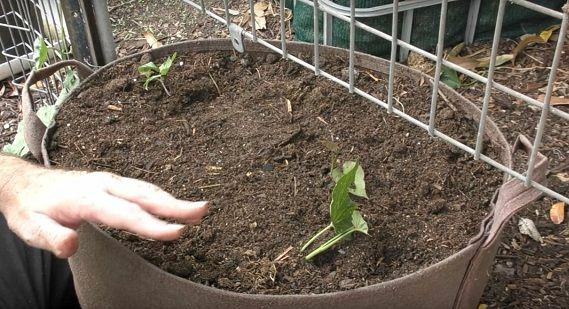 Share these sweet potato container garden ideas with your Facebook friends and see if anyone can beat that harvest!